Alhambra -- car wreckers. 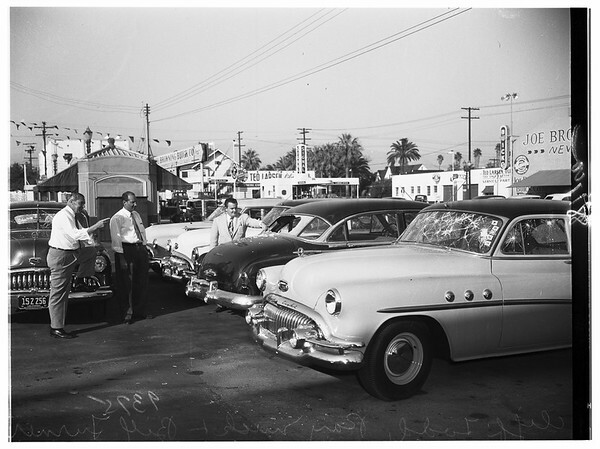 84: Cliff Todd, vice president and sales manager of Browning Buick Company, Alhambra, stands with foot on bumper of car talking with salesman Ray Muck seen through back window. L-R: Cliff Todd, sales manager, and Salesman Ray Muck and Bill Turner".